Have you ever hired the wrong person? Or to put it another way –have you ever hired the right person for the wrong job? Hiring is an art as much as it is a science. And it often requires a lot of time and money to find the best person to fill a position. It is not uncommon to find the perfect candidate on paper, only to find out that later that they weren’t a good fit. Not only does a candidate need to match with your businesses’ needs from a skills perspective, but it is also essential for them to mesh with your company’s culture and values. Matching skills and references with the correct personality type for the position is a growing trend, and for good reason. Being able to identify not only an individual’s capability and aptitude for the job at hand, but also their work style and preferred methods can help you to assemble a winning team. 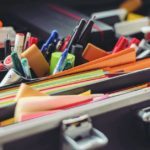 It could even help you to improve your worker retention rates, allowing you to ensure that you not only hire the right people for the role, ones who look good on paper, but individuals who are a good fit personality-wise as well –ones who will mesh well with your team, and work culture. According to a 2014 trends report from business advisory company CEB, 62% of human resources professionals are using personality tests to vet candidates in the hiring process. That’s compared to less than 50% in 2010, per research firm Aberdeen Group. 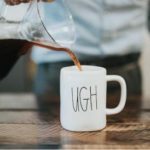 Although it is easy to grab the latest, greatest ‘SEO ninja’ or ‘social media rockstar’ to fill an empty seat, the truth is that often, that person may not mesh well with the meta needs of the organization. This is why it is important to analyze your candidates on a much deeper level. 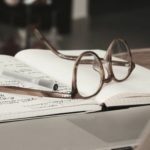 In this post, we’re going to look at a few different types of personality tests popular with hiring managers and entrepreneurs looking to fill jobs. We’ll explain the parameters of these tests, how they work, what the look for, and how you can interpret this data. And finally, we’ll go over how you can apply the results of a personality test to your particular hiring needs. So you can find the perfect candidate for the first time when evaluating candidates. Although there are a ton of personality tests on the web (Facebook surveys don’t count! ), there are a few particularly good ones that stand out. 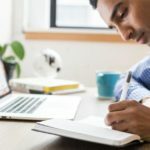 Each of these tests can help an employer or manager learn more about a potential hire –indicating how they solve problems, their style of leadership, creative expression, team dynamics, and more. As entrepreneurs, a personality test can also be effective for ourselves; for understanding what instincts influence us, and the character traits that drive us. This information also can help us to better communicate with people in and outside of work and allowed us to pinpoint the tasks we both enjoy and excel at. Without further ado, let’s dive a little deeper into the world of personality tests. The four tests we will cover are the Kolbe A Index, The Caliper Profile, 16Personalitites, and the Gallup StrengthsFinder. The Kolbe A Index is unique among personality tests. Intelligence, personality, and social style are not the focus of the analysis. Instead, it measures the intuitive ways you take action when you strive –or, as they put it, your modus operandi! Understanding how someone prefers to take action is just as important a factor in the evaluation process as emotions, motivation, IQ, and reason. It can fill you in on the type of style that you’ll want to take when assigning tasks or working with your team, and can also give you a good idea about the type of processes that you have in place, and whether they’re a good fit for your team. The Kolbe is a 36-question assessment that takes about 20 minutes to complete. When finished, a 13-page report is generated following the assessment. Do note, however, that the test isn’t free –each test costs $49.95. The Kolbe breaks the test results into four action modes: Fact Finder, Follow Thru, Quickstart, and Implementer. Fact Finder (FF) − This gives insight into a person’s relationship with details; one’s propensity to seek out information before acting, or before making a decision. Follow Thru (FT) −This indicates how a person arranges and designs, or how much structure they prefer. Quick Start (QS) − Examines how likely a person is to take uncalculated risks. Implementer (IM) – This refers to a person’s instinct to construct a robust handcrafted solution. Instincts drive these and represent the primary ways we tackle challenges. The test has no good or bad; right or wrong answers or results; instead, the idea is to understand an individual’s approach to thinking through and solving problems. The results will describe the candidate’s natural strengths, and how someone prefers to take action. 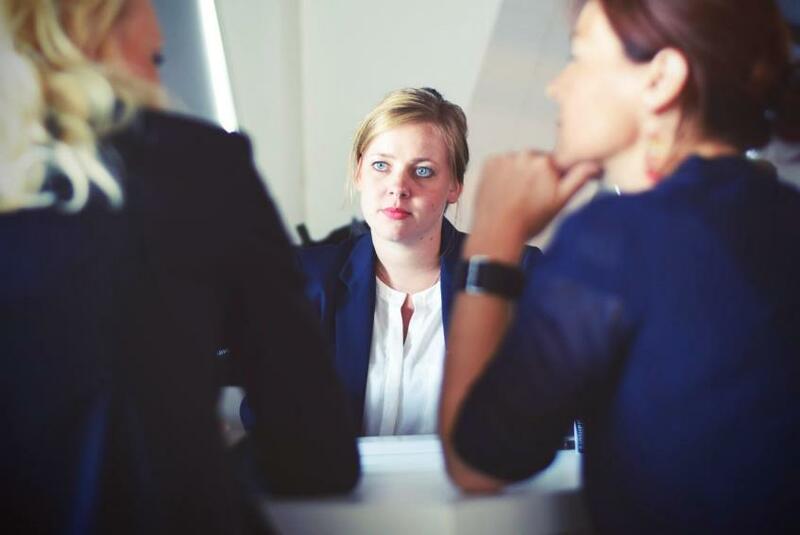 The true value in administering a Kolbe test to a potential candidate is to better understand who you are working with so as to communicate more efficiently and effectively. As a standalone test, the Kolbe is not very useful. However, used in conjunction with other assessments, it can assist in placing people in positions where their innate talents can flourish. The Caliper Profile is an assessment that measures personality traits and identifies how they apply to attributes such as leadership ability and time management. This particular assessment has been around for 50 years, identifying and measuring personality traits— from assertiveness to thoroughness. The Caliper Profile consists of 180 multiple-choice questions and takes between 1-2 hours to complete. Once finished, employers are given access to the Caliper online portal for test results. It’s worth noting that the price of a Caliper Profile is not cheap, with each one costing $265. Leadership/Persuasiveness – This looks at how assertive or aggressive a person is, are they able to accept criticism, how open they are to risk? It also reveals how urgent vs cautious someone may be. Interpersonal Skills – Is the candidate social and accommodating? Do they possess the ability and desire to work with others? Problem Solving/Decision Making – Are they detail-oriented and able to develop original and creative concepts? Personal Organization/Time Management – How thorough or disciplined is the person? Are they self-starters sensitive to existing structure and environment? The Caliper Test can be very useful for determining what drives someone. It examines both good and bad qualities that provide insight into what really motivates someone. The results are also used to analyze whether or not the candidate’s role in the business would play to their strengths or their weaknesses. The 16 Personalities test, otherwise known as the Myers–Briggs Type Indicator (MBTI) is perhaps one of the best-known personality tests there is. This test is an introspective self-report questionnaire that is designed to indicate different psychological preferences in how people perceive the world around them and make decisions. As you may have guessed, this particular test sorts individuals into 16 separate personality types. The test itself contains 93 questions that simply ask you if you agree or disagree with a statement. The test itself only takes about 15 minutes and is free. Favorite world: Do you prefer to focus on the outer world or on your own inner world? This is called Extraversion (E) or Introversion (I). Information: Do you prefer to focus on the basic information you take in or do you prefer to interpret and add meaning? This is called Sensing (S) or Intuition (N). Decisions: When making decisions, do you prefer to first look at logic and consistency or first look at the people and special circumstances? This is called Thinking (T) or Feeling (F). Structure: In dealing with the outside world, do you prefer to get things decided or do you prefer to stay open to new information and options? This is called Judging (J) or Perceiving (P). These personality types are determined by four categories. Where you fall on each of these categories determines what four-letter combination you are assigned. Get our The #1 Trick for Finding Amazing Employees - Worksheet delivered right to your inbox. According to ZipRecruiter, ESTJs, which stands for Extraversion (E), Sensing (S), Thinking (T), Judging (J), are “the managers, the leaders. These are the ones who get the corner office, and likely have deep respect for honesty, integrity, and tradition.” These are the people that become leaders in their business and community. ESTP stands for Extraversion (E), Sensing (S), Thinking (T), and Perception (P). This is the sort of person who is passionate, in-the-moment, and willing to take risks. They make up just 4% of the population. These individuals exhibit boldness and quick decision-making. You will find them as freelancers, entrepreneurs, and athletes as well as emergency response occupations. This is the rarest of the rare according to ZipRecruiter. The INTJ Personality is, “known as the Architect or the Scientist, and only 2% of the population can claim this title. INTJs are inventive thinkers, natural leaders, and value logic and reason over gossip and theories.” These individuals thrive in building, designing, or solving a problem, rather than chatting in the breakroom. Your Personality Type: When you decide on your preference in each category, you have your own personality type, which can be expressed as a code with four letters. Gallup StrengthsFinder is one of the more recent tests created by Gallup –the same people behind the Gallup Poll. It was their opinion that existing personality assessments we too focused on weaknesses and negativity. The test provides 177 pairs of “potential” self-descriptors are listed. Ex: “I dream about the future” versus, “People are my greatest ally.” The candidate must decide which description best fits them and the extent to which it describes their personality. This test costs $49.99 and comes with a Clifton Strengths 34 Report. Once finished, Gallup places the test taker in top-five signature themes. These are the top five traits out of 34 that best matches the test-takers personality. Below is a sample result, showing the top five traits. You can find all 34 traits here. The key thing for employers looking to hire talent to realize with this test is that it is best used as a developmental tool. Its primary purpose is to provide a broad picture of someone’s talents. It’s important to realize that you are looking at the potential of a given candidate. Using common sense is key here. Realize that certain strengths do make people more likely to be good in certain areas. However, both candidate and the employer must nurture those strengths over time. The Gallup is still a great tool for revealing a job prospect’s strengths, and it’s especially good for applicants for management and leadership roles. 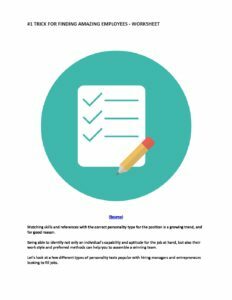 These assessments can be used as a hiring tool to help you find employees who will be the right fit for individual positions and within the context of a specific team –and your company overall. So how can you apply these particular tests to open positions with your e-commerce or web business? Before you begin the hiring process, it’s important to first determine what –exactly you are looking for in terms of a score of a personality profile for the open position. For each of the above tests, put some thought into what it would take to succeed. You’ll also want to take the time to learn how each score or characteristic interacts with one another. Remember, your goal, after all, should be to build a team that supports each other’s skills and strengths so diversity in ideas is key here, as is matching personality styles that can work productively together. Narrow down candidates to 3-4 individuals and share with team members. Send them an offer and hire! The art of using personality test scores is in finding a complementary mix of strengths for each team. As you add additional members to your team, their skills, abilities, and instincts should support –rather than conflict with – their new coworkers. Building a balanced team is an important strategy for improving employee engagement. The era of sorting through typo-free resumes to find solid candidates for a position is behind us. With the high cost involved with filling positions, and training new employees, it’s paramount that entrepreneurs and small business owners get it right the first time, as often as possible. The four personality tests that we’ve covered were chosen because they have substantial accuracy in selecting ideal candidates. Time and again they have been predictors of future job performance. Just remember that the time and research you put into defining the perfect personality attributes for a given position, are as important as the time you will spend training your new hire. Good luck finding that next job candidate! Have YOU used personality tests to screen candidates? Have you had success with them?